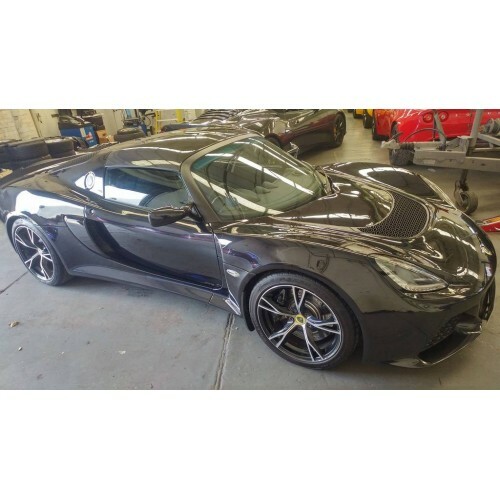 We are proud to announce the release of this our latest top of the line product the Carbon Fibre Roof for the S2/3 Lotus Elise (all models) and also compatible with the Lotus V6 Exige. Made using brand new quality tooling the roofshape is exactly the same as the original items but with the outer skins made from fully autoclaved carbon fibre. The parts are hand made here in the UK and finished off with a UV protective lacquer to guarantee no horrible opaque effect after a summer’s use. If you look closely at the pictures you can see we have also pulled off a continuous weave effect going from the roof panel to the rollbar. A detail feature that you are more likely to see on a Zonda than a Lotus! The Roof weighs in at around 5 Kilos which is a huge saving on the 11 kilo weight of the original roof. 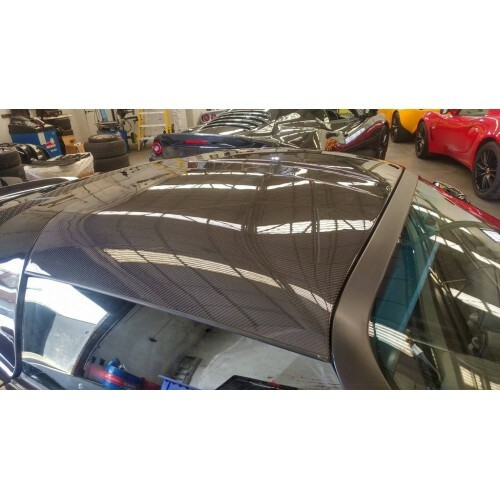 The inside of the roof is finished off in a black flock finish complete with matching trim panels. The inside skin is made from lightweight GRP. As it cannot be seen and no significant weight saving could be achieved we elected to manufacture the item in this way to keep the cost down to approximately half of full inside and out autoclave carbon products. We can manufacture full carbon on both items if required. The kit includes all brackets and seals needed to fit it to your car and is compatible with all Elise S2 and3 variants.